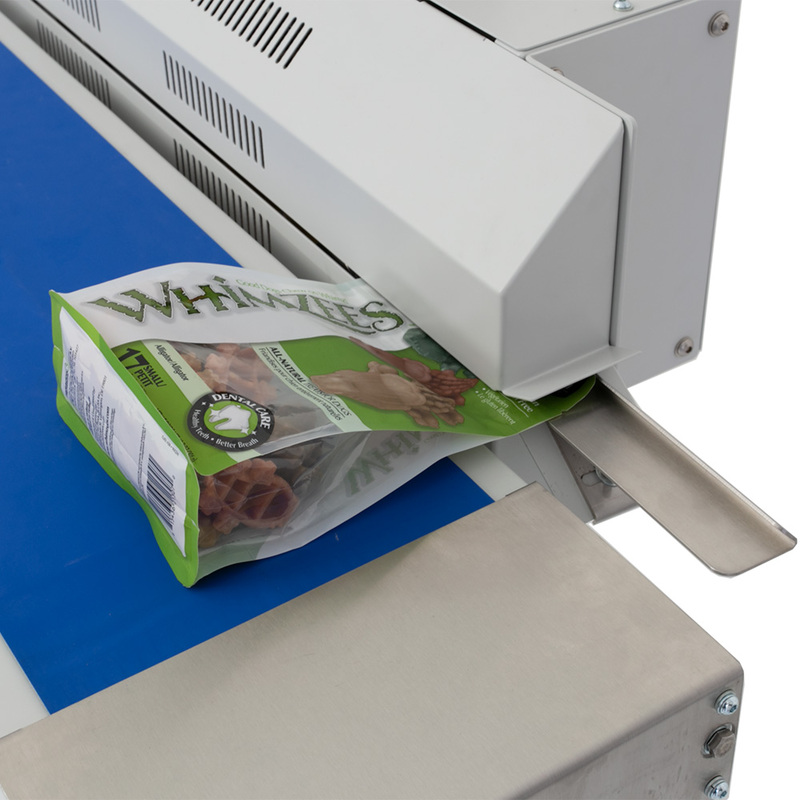 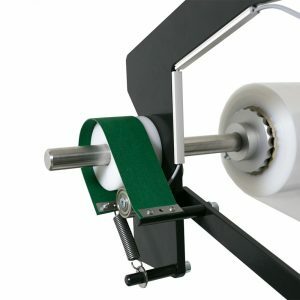 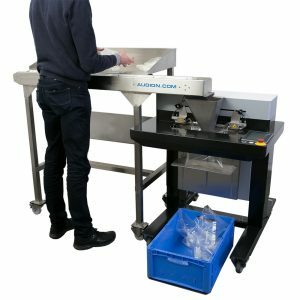 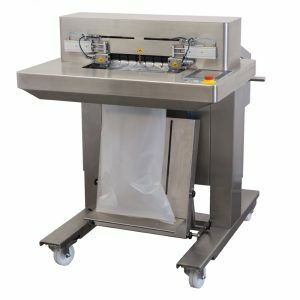 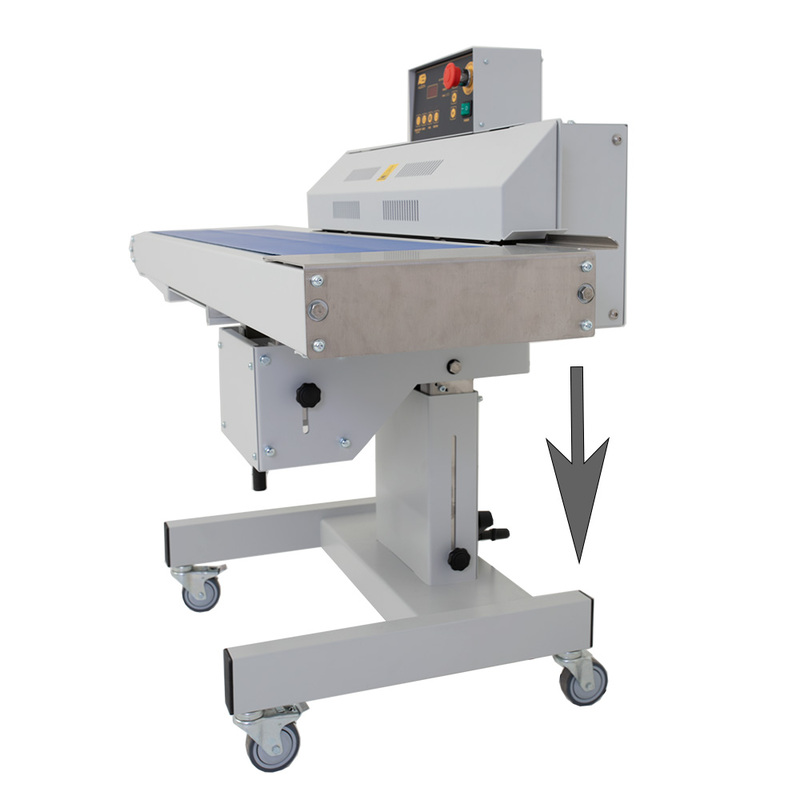 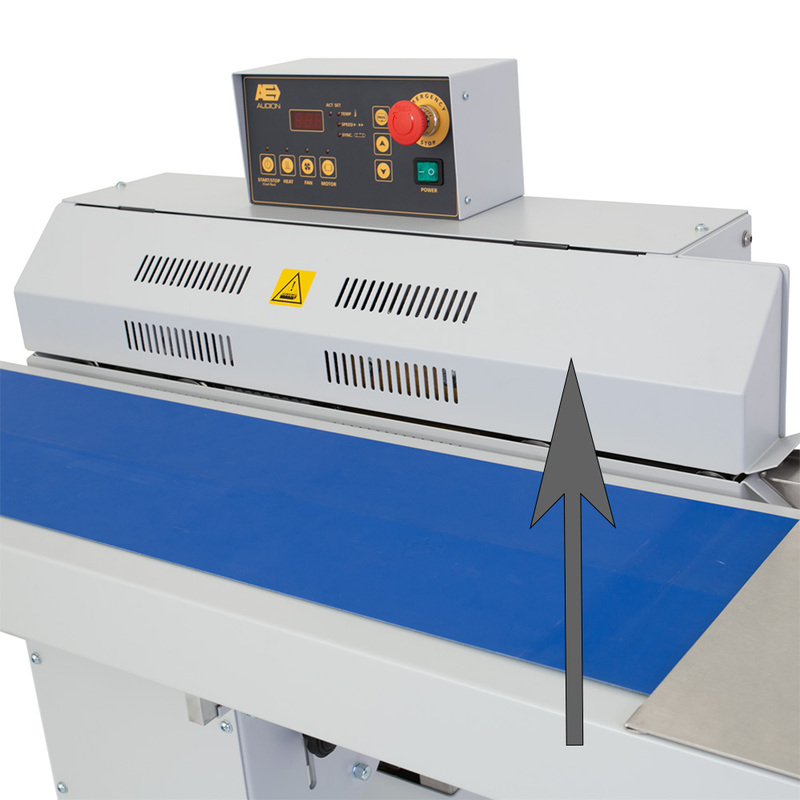 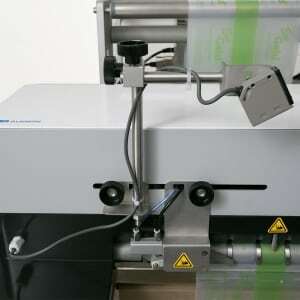 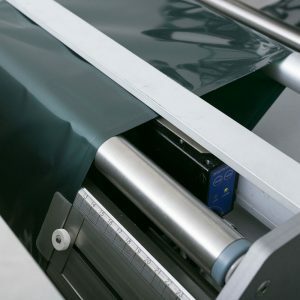 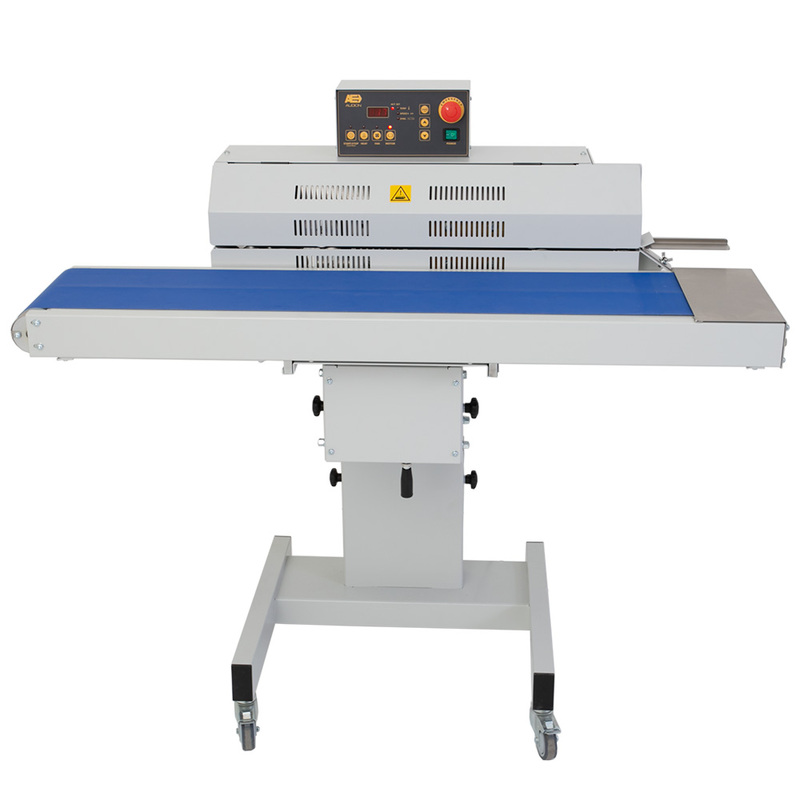 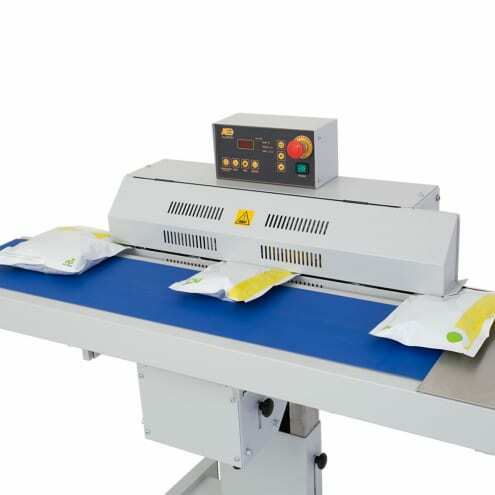 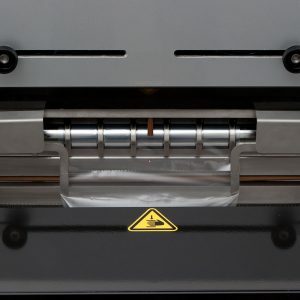 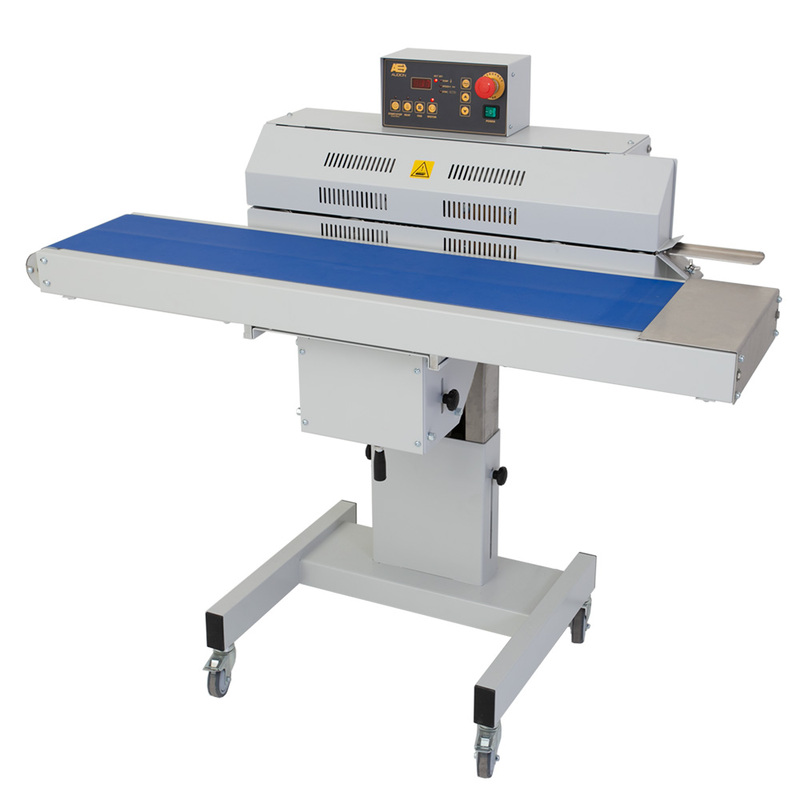 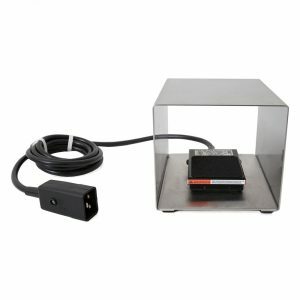 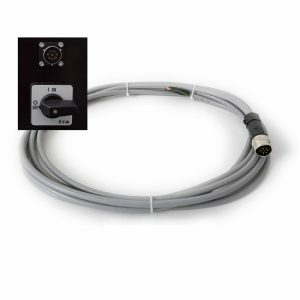 D 552 AH band sealer continuously seals bags lying flat, for applications requiring speed and convenience. 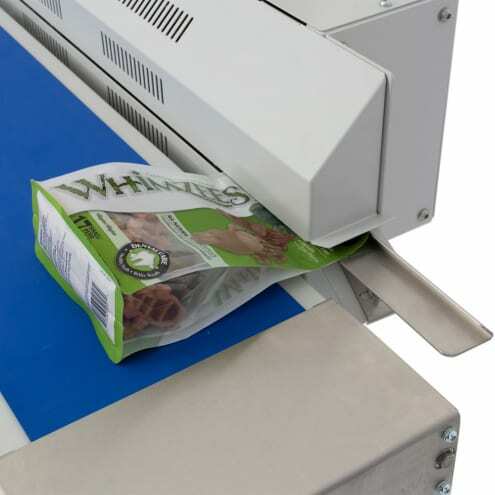 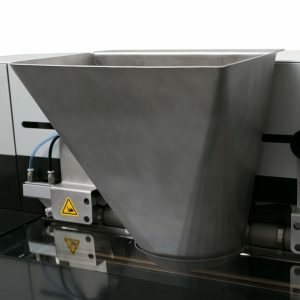 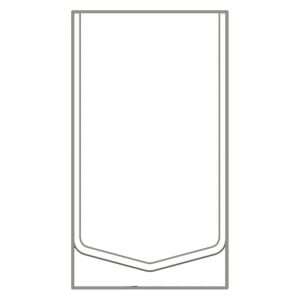 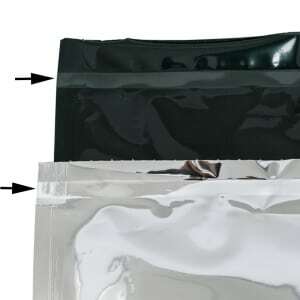 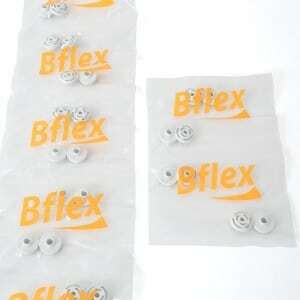 The sealing unit is adjustable in height and can also be tilted up to 30° to keep free flowing products in the bag. 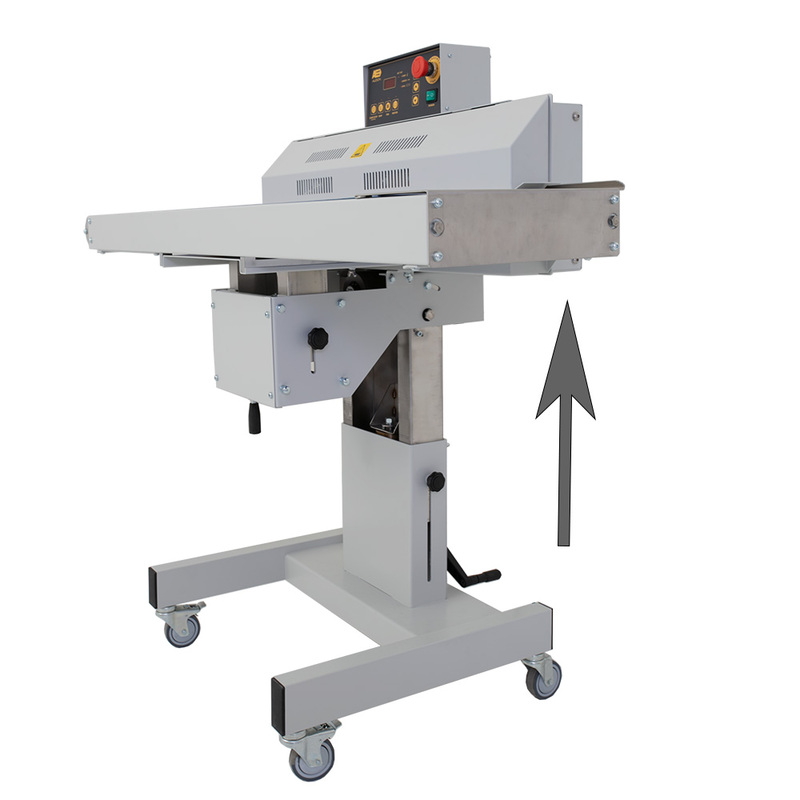 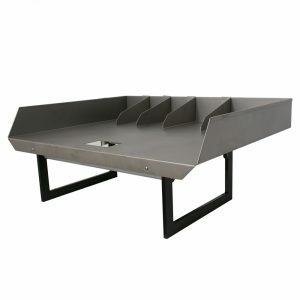 The conveyor unit can also be adjusted in height by 35mm separately from the sealing unit. 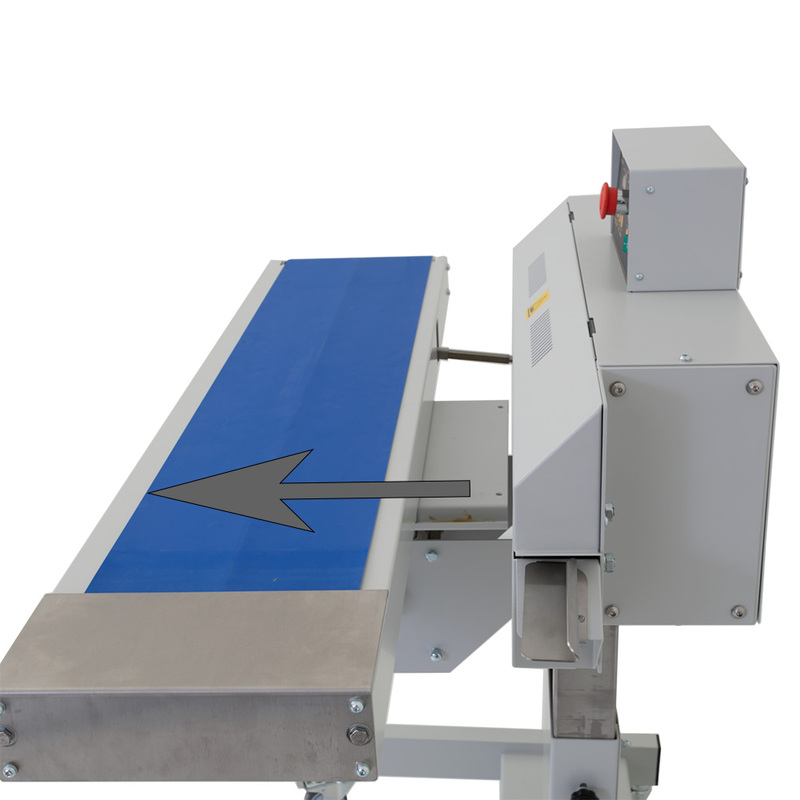 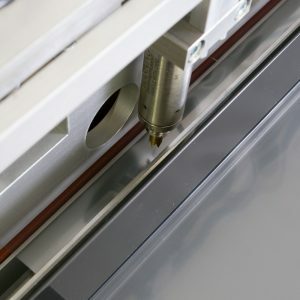 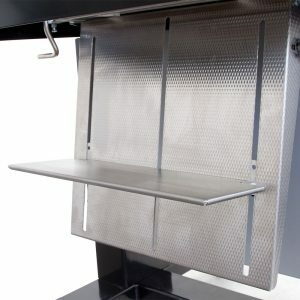 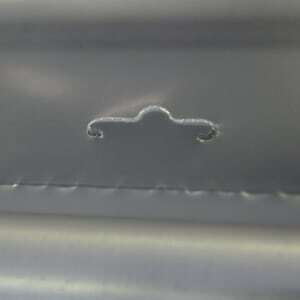 For longer product, the conveyor frame can be pulled out by 70mm. 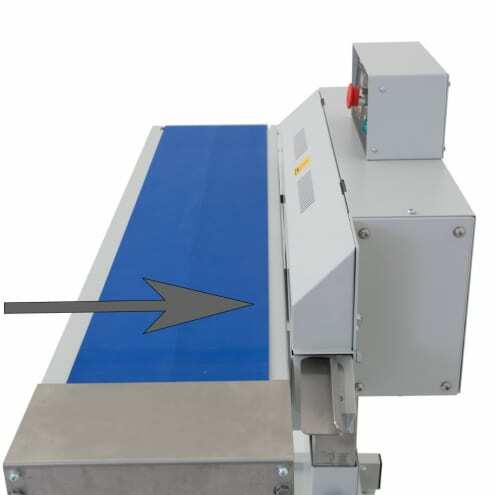 The new conveyor belt is attached with rubber guide on the inside and it runs along the groove made on the conveyor frame. 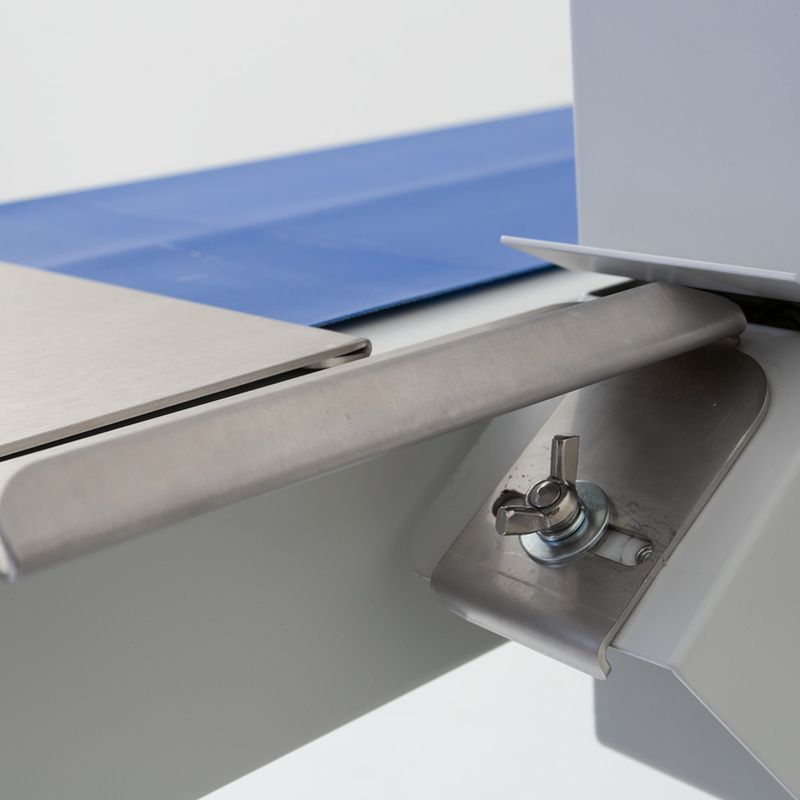 This structure keeps the belt always in the center position therefore the adjustment is not necessary anymore.